As more and more vehicles become more technologically advanced, the race has been on to create the best safety system. 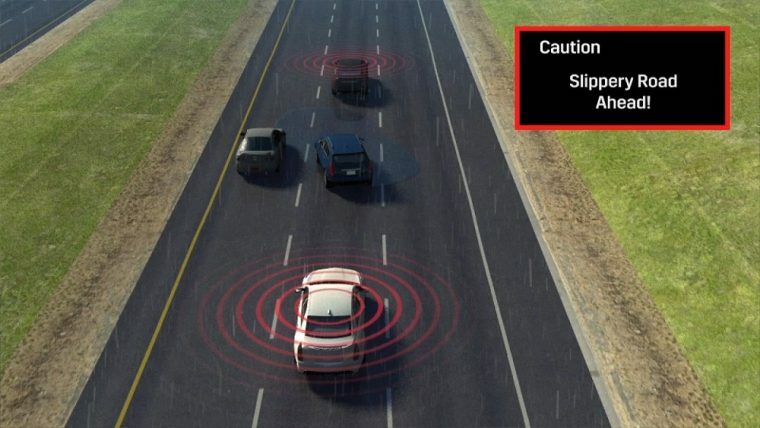 At the most complex, there seem to be two different systems which promise dramatic reductions in accidents—self-driving vehicles and vehicle-to-vehicle (or V2V) communications. The Game Is On: So what are you going to do for snacks? Although often these two concepts are discussed together and could be implemented in concert, self-driving vehicles are seeing a boost in federal support, while V2V interests, outside of private implementations like with General Motors, have petered out under the Trump administration. Proponents of V2V, like Glen De Vos, chief technology officer for Delphi Automotive Plc, have said that without federal support, the technology isn’t likely to receive much support. V2V advocates also add that the technology can provide more safety benefits than just on-board sensors, since the sensors are only effective within their field of vision, while V2V-equipped vehicles’ “sight” isn’t constrained by obstacles like other motorists or buildings. New Car Features: What comes with the new Camaro? An Obama-era proposal would have required that all new vehicles contain V2V transponders, but now the proposal is languishing in regulatory review with the National Highway Traffic Safety Administration, and could quite possibly be abandoned like other Obama-era initiatives under the new administration.